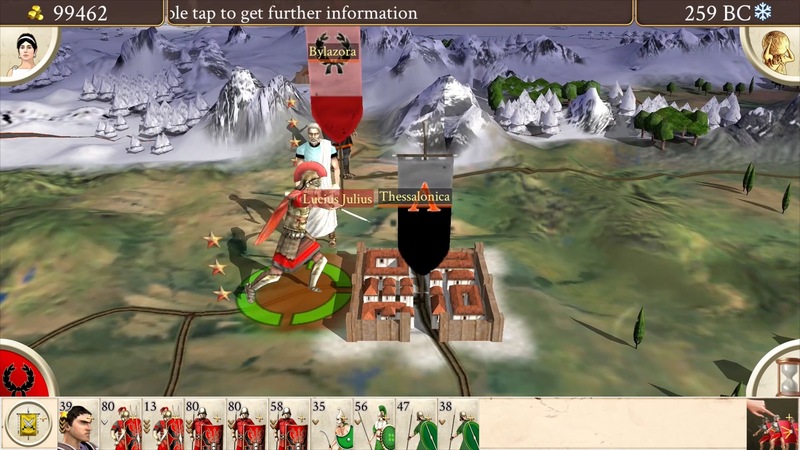 Roman archers attempt to wrest control of its capital from the Carthiginian occupiers. 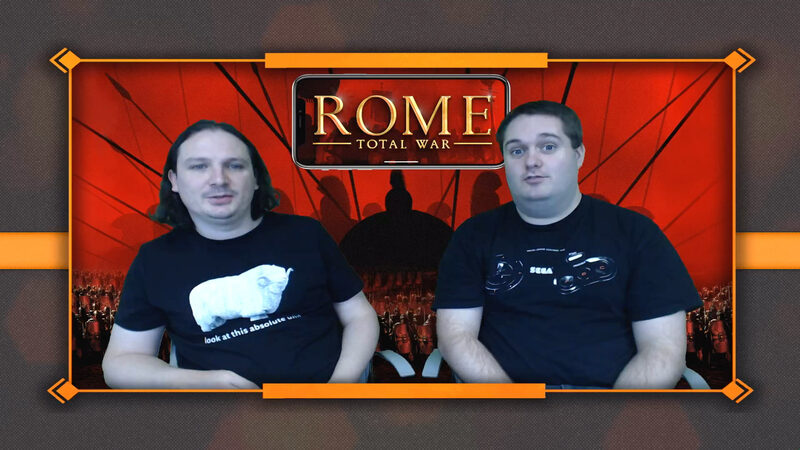 Julii armies and fleets close on the prize: Rome! 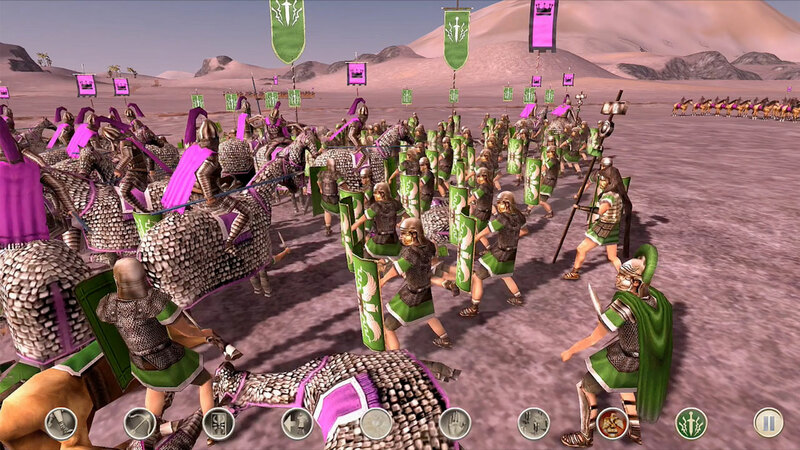 Phalanxes of Macedonian pikemen are selected for defensive action. Ranks of Roman spearmen clash with barbarian Gauls. A summary screen for the Roman House of Julii. Scythian infantry raid a Britannic settlement. 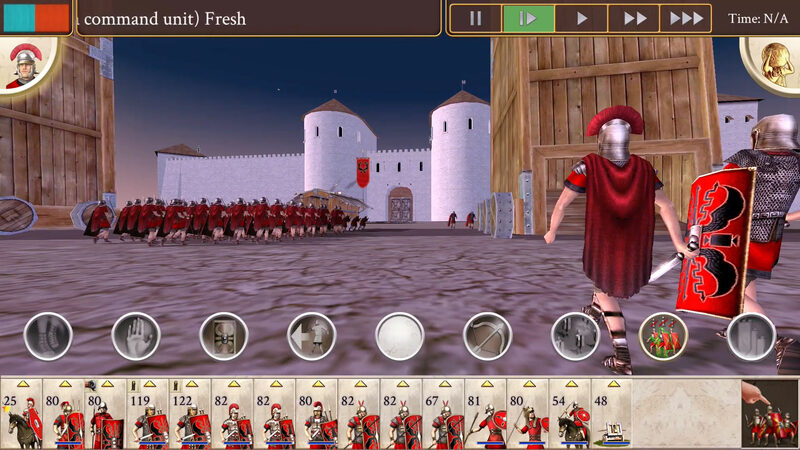 Julii armies approach Rome, the Eternal City. Scipii cavalry are directed to flank Carthaginian elephants. A Macedon city is put to the flame by the House of Julii. Greek hoplites devastate a Numidian army. 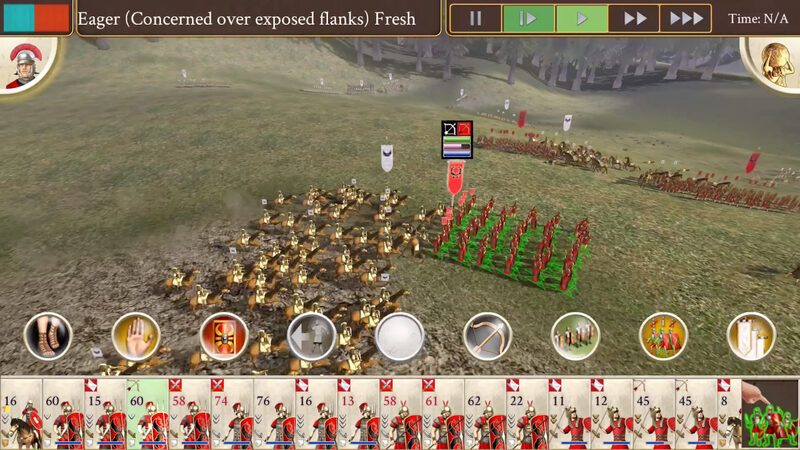 Carthaginians are routed by an onslaught of Macedonian infantry. 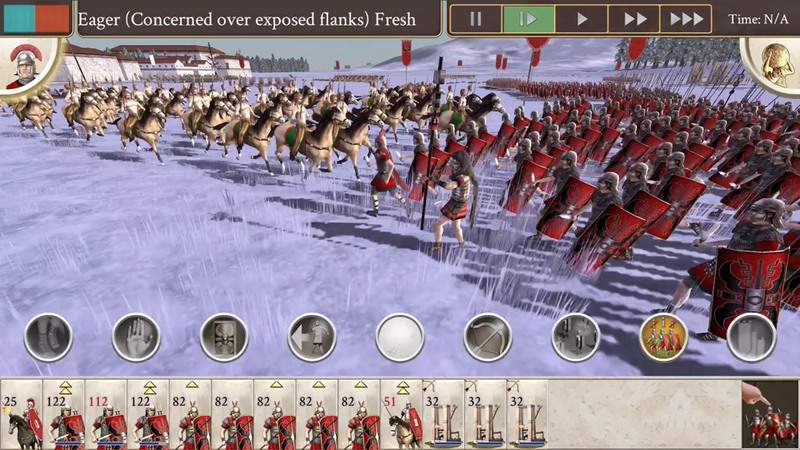 Carthaginian War Elephants rampage through the Roman Julii army. Greek spearmen in close battle formation advance in a phalanx. 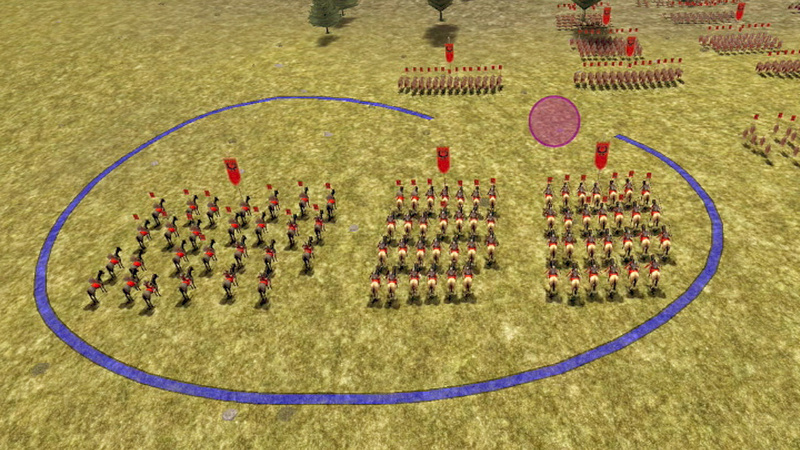 Greek infantry are directed to outflank the charging Parthian army and attack from the rear. Eastern subterfuge! An Egyptian Spy covertly approaches the Diplomat from Antioch. Germanic Warriors wearing very little scale a fortress manned by Legionnaires. In a dialog with Gaul, the House of Julii offers a ceasefire in exchange for tribute. On the Campaign Map, two Julii armies besiege the Spanish settlement of Osca. The barbarian armies of Gaul and Britannia charge into each other. 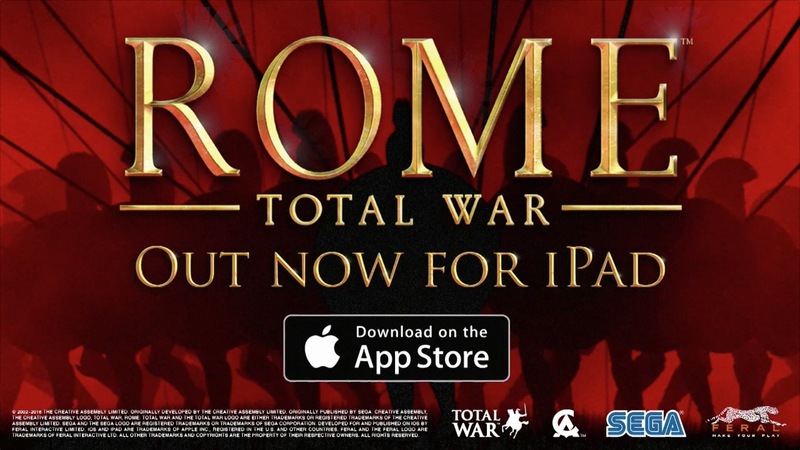 Your mighty Roman Empire begins on the Italian peninsula.